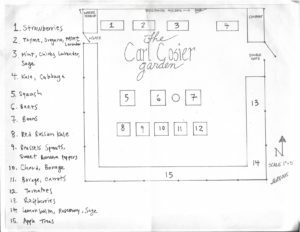 Since its establishment in 2012, the Carl Cozier Elementary garden has been regarded as an important outdoor classroom that builds community and connects children and families to healthy foods and a green space. It is a place where kids learn life skills and grow as thinkers, scientist, team-players, and environmental stewards for living things. As Carl Cozier Elementary is an International Baccalaureate (IB) School, the garden provides students with the opportunity to explore six IB units of inquiry through hands-on lessons. The medium-sized urban garden was revitalized March 2018. With the generous support of the Cozier PTA, teachers and staff, families, and community members, eight new cedar garden beds were built, increasing the garden square footage from 657 to 865. The garden now features 12 diversified raised beds, 14 circular planting barrels, native plants, and apple and pear trees. No longer limited by a small growing space, Cozier kids now have more opportunities to be adventurous eaters and try more fruit and vegetable varieties! Carl Cozier Elementary is located at 1330 Lincoln Street, Bellingham WA 98229-6238. 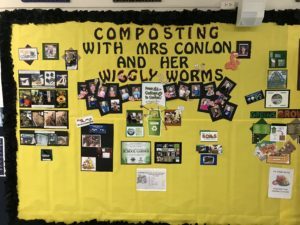 If you’d like to become involved in the Carl Cozier Elementary school garden, you may wish to join the Common Threads at Carl Cozier Facebook Group! If this school garden is particularly near and dear to your heart, we’d love to invite you to become a Sponsor or a Summer Garden Care Volunteer!